Charlie Belle (L-R): Gyasi Bonds, Jendayi Bonds. Photo Credit: Barclay Ice & Coal. 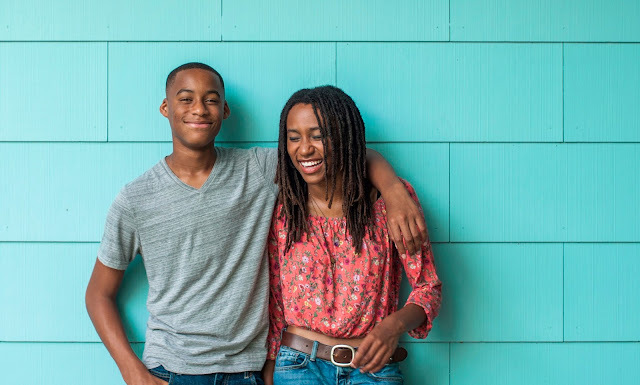 Teen brother/sister duo Jendayi Bonds (guitar, vocals) and Gyasi Bonds (drums, vocals) known under their band moniker Charlie Belle are scheduled to play the official SXSW opening party on March 15 at Maggie Mae's. Their song "You Don't Know Me" was remixed by Dan Milrood. The original track is on their EP I Don't Want To Be Alone. Check out the remix below. It’s been just over a year since the release of the first Charlie Belle EP “Get To Know,” which introduced 17-year-old Jendayi’s songwriting to a national audience. Since then, Charlie Belle has gone on to release another five-song collection, “I Don’t Want To Be Alone,” which showcased a maturing take on the Brit-flavored pop sound that Jendayi is influenced by, but with more of an R&B overtone.